What Is the Work History Check? When applying for jobs in criminology and criminal justice, a background investigation is pretty much assured as part of the process. Understandably, many people get nervous at the prospect of someone going through their past and digging up perhaps less-than-favorable information. One of the issues that many job applicants worry about most is their previous work history. Of all the issues involved with background checks, employment verifications and work history inquiries are perhaps the largest areas of concern for applicants. Why? For one thing, they're subjective. Polygraph exams rely on the information you provide. A psychological exam is typically based upon tried and true testing instruments that have been scientifically validated. When background investigators contact a candidate's prior employer, though, the applicant is at the mercy of whatever their previous boss thought of them. On top of that, if you're currently employed, a phone call to the boss from another potential employer is a sure sign that you're on your way out, which can make for an uncomfortable situation in the workplace, to say the least. So how much weight do criminal justice employers place on your past work history, and what exactly are they looking for? Well, that depends. People who enter careers in criminology and criminal justice come from all walks of life and have varying levels of education, experience and work history. With that in mind, background investigators look for patterns of unacceptable behavior or poor work habits and issues that indicate what kind of worker you are. Chronic absenteeism, calling in sick excessively without a chronic illness, or patterns of calling in sick before and after weekends or regular days off are obvious areas of concern. Other issues that could cause problems are the failure to perform job duties, disciplinary actions, failure to get along and interact well with co-workers, and dismissals or firings for the cause. Sometimes people just don't get along, and background checkers will certainly take into account the possibility of a personality conflict. It is possible that you and your last boss just didn't mix, and most agencies understand that. If four of your last five bosses give you glowing recommendations and one won't give you the time of day, more likely than not it will be chalked up to the work environment as opposed to your poor performance. If everyone you've ever worked for has negative things to say, though, well then it might be time to look at yourself and explore ways to improve your rating. With that said, how you respond in less-than-desirable work situations can affect how your work history appears. If you have a reputation for arguing with your boss or being disrespectful, even if it's a bad boss, it could prove problematic. 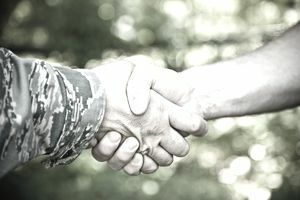 Criminal justice employers - especially law enforcement agencies - are often quasi-military organizations, and respect for superiors is not only highly valued but expected. This means no matter what your situation, you'll be expected to have acted respectfully and appropriately. If you're worried about signaling to your current employer that you're ready to leave, that's perfectly understandable. That's why investigators will typically wait until the tail end of the hiring process to contact your current employer. Usually, if a background investigator calls your present boss, you can take that as a good sign that you're well on your way to being hired. So what can you do in your current job to show that you have what it takes to make it in your dream career? The short and easy answer is to just be a good employee. Do your job to the best of your ability and be polite and respectful to your bosses and coworkers. Do the things you know you're supposed to do anyway, like showing up when scheduled and being on time. Looking at your work history is a necessary component of the criminal justice hiring process because of the large responsibility and significant authority you'll be given if hired. It doesn't have to make you nervous, though. As long as you try to be the kind of employee you'd like to have working for you, you'll have no trouble landing the perfect criminology career for you.